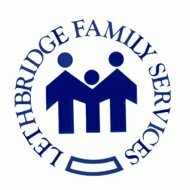 Send A Message To Lethbridge Family Services. At Lethbridge Family Services Counselling Department, our fully qualified and highly trained team of professionals provide ethical and effective services to individuals, children, couples and families throughout Lethbridge and surrounding area. Our counsellors assist adults and children who are experiencing a variety of issues including depression, anxiety, marital issues, and issues of abuse and violence. Our goal is to promote healthy interpersonal relationships, including family functioning, and assisting people experiencing difficulties associated with mental health, domestic violence, trauma, and other crisis. Individuals and families undergoing difficulties associated with emotional health, domestic violence, sexual violence, trauma, and other issues will improve their coping skills, their ability to problem solve, and/or their individual and family functioning and self-sufficiency through supportive outcome-based therapy and counselling. Our counselling team offers Group Therapy which provides professional therapeutic support, guidance, and a safe and comfortable place where group members can work out problems and gain insight. For a full listing of therapy groups offered please visit http://www.lfsfamily.ca/COE/CS/grouptherapy.php. Aleitha has been registered with the Alberta College of Social Workers since 2000. She received a Bachelor of Fine Arts (Art) with Great Distinction from the University of Lethbridge in 2003 and a Master of Arts in Pastoral Psychology and Counselling (Art Therapy Specialization) from St. Stephens College in 2009. Aleitha has worked in the human service field for over 30 years. Her preference for art as therapy supports her therapeutic practice with creative expression and the enhancement of resilience. Her practice has focused on issues related to domestic violence, sexual violence, loss and grief, and personal growth and awareness. Aleitha works with adult and adolescent individuals as well as couples and therapy groups Aleitha is also trained in EMDR (Eye Movement Desensitization and Reprocessing). Ten years ago, after experiencing a sudden spiritual awakening, Jason went on a journey to understand the nature of his True Self. Filled with fear and anxiety, but swept under a current of spiritual energy he has learned to relax into being. Today, utilizing the wisdom of surrender and integrating Eastern and Western approaches to counselling/psychotherapy, he now offers these insights and practices toward helping clients ameliorate and transform their own suffering in whatever form it manifests (e.g., depression, panic, addictions, eating disorders, trauma reactions, relationship difficulties, grief, bereavement, etc.) He also teaches and conducts research at the University of Lethbridge, within the Health Sciences Faculty. Laura has been practicing as a Registered Social Worker in school and community settings since graduating with her Bachelor of Social Work degree from the University of British Columbia in 2004. Laura joined the LFS team in 2011 upon receiving her Master of Social Work degree from Dalhousie University. Laura enjoys integrating therapeutic approaches in her work with children, youth and adults, employing experiential, play therapy, narrative, humanistic and eastern psychotherapeutic techniques to support clients on their preferred path to healing. Laura loves to be in nature, reading, practicing yoga, taking road trips to the ocean and gardening. Lisa Lewis, BHSc., MSc., C.P.C.A. Lisa is a therapist with our Counselling, Outreach & Education Department who has been enjoying the diversity and enlightening moments of her counselling career for the past ten years. Recognizing the complexities and individuality of human beings’ healing process, Lisa’s eclectic approach of humanistic/existential/transpersonal psychology encourages people to realize their true potential along their journey. Since joining the LFS team four years ago, she has continued her training in Expressive Art Therapy, Sensorimotor Psychotherapy, EMDR, Gestalt and the Integral approach along with other complimentary therapies. Lisa’s experience working in addictions, mental health and trauma with teens, adults, couples and families enhances her appreciation of individual’s struggles and their ability to trust in their own process. She inherently believes people are whole beings who become separate from who they really are; therefore she works with clients to reconnect them to their true Self. Lisa fulfills her personal time with her animals and the company of good friends as well as hiking, running, yoga, traveling, and being creative through art and cooking!! Paula is a Registered Psychologist and has been in the counselling field for over 9 years. She has been with the Counselling, Outreach & Education Department of Lethbridge Family Services since 2008. Previously, she worked for a non-profit counselling agency in Calgary, before joining Lethbridge Family Services. Paula works with a wide variety of clients; children, adolescents, adults, couples, families & the elderly. Paula is passionate about working with children and their families around issues related to attachment and trauma. She is currently working towards certification as a Theraplay® therapist, a therapy which focuses on building relationships through attachment-based play. She appreciates using a wide variety of approaches including: play therapy strategies, art therapy strategies, narrative therapy, cognitive-behavioural therapy, solution-focused strategies, music and movement. Practicum Students will be accepted from the Faculty of Social Work (BSW or MSW), Psychology or other appropriate master’s level programs with a focus on counselling.